There’s nothing better than giving the gift of an experience this holiday season! If you’re searching for the perfect way to delight in this magical time of year, planning a trip to South should be at the top of your list. 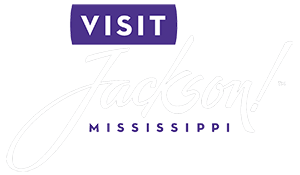 Here in Jackson, our charming city offers an assortment of annual events to get into the Yuletide spirit including the Jackson, MS, Christmas Parade. This wonderful celebration spans across the downtown area and is held annually in early December. Bring your camera, grab a cup of hot chocolate, and delight in the seasonal festivities! After you’ve delighted in the Jackson, MS, Christmas Parade, request a copy of our complimentary Vacation Guide to immerse yourself in other culinary, cultural, and seasonal experiences during your stay at Fairview Inn. Get into the spirit of the holiday season by attending the Jackson, MS, Christmas Parade. Use our local insights to make the most of your time at this fantastic festival! One of the most remarkable Christmas events in Jackson, MS, this celebration offers a wonderful time for all who attend. For over 60 years, this incredible parade has invited visitors to welcome to the Christmas season. As you watch from the sidewalks, you can see extravagant floats, magical lights, the iconic “Merry Christmas” banner, and other lighted displays. You’ll also hear the sounds of marching bands from local schools. Parades have maintained a long tradition in the city of Jackson and showcase local organizations. The Mayor’s Office works in affiliation with The Salvation Army to provide this free event to the public. This philanthropic organization has a mission based in the Christian Church and strives to show the love, acceptance, and assistance for all human beings. When you attend the Jackson, MS, Christmas Parade, you’ll feel comforted by the notion of a community promoting inclusion for everyone in attendance. In addition to the Jackson, MS, Christmas Parade, there are many more wonderful extravaganzas, each of which is designed to bring the holiday spirit. Here are the other tinsel-filled celebrations! When you attend one of these festivals in December, you’ll also have the chance to indulge in the gourmet cuisine, enchanting displays, and a wonderful time for all. After your Jackson, MS, Christmas Parade experience, head back to your comfortable accommodation at our downtown boutique hotel. We invite you to browse our charming guest rooms and choose the ideal one for your getaway at Fairview Inn. Once you book, you’ll have easy access to the most beloved area attractions, including Nomispa, The Library Lounge, and 1908 Provisions, our three on-site destinations. We also encourage you to search our assortment of indulgent specials and packages to enhance your time even more. With so many seasonal happenings and delightful things to do, why wait any longer to plan your vacation? Book your next trip to the Deep South this year!